There are so many leaders in the Indian politics from olden days and they possess good qualities. Leaders like Jawaharlal Nehru, B.R.Ambedkar, Subhash Chandra Bose, and Indira Gandhi contributed their whole life for the welfare of the nation. The good qualities of these leaders made them bold and contented to their responsibilities. To teach responsibility and boldness to take over the challenges in life it is important to cultivate good qualities in the students. Rather than knowledge-based learning, it is important to teach the children about the “unity in diversity” concept in India. Each one is different in character but same towards love and affection which brings unity. Mahatma Gandhi said that it is essential to teach morality to the students to know what is right and what is wrong. Education should teach the students about the world and the different personalities around the world. 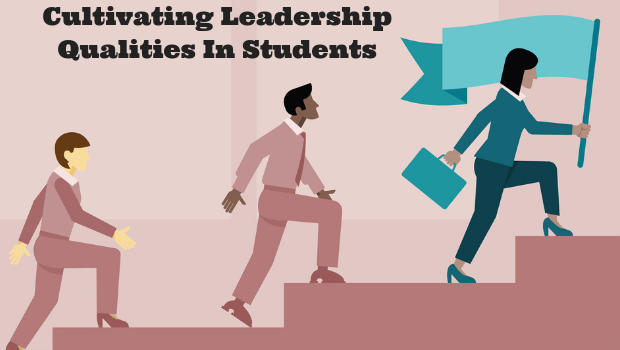 Let us see some of the activities for the school level students to cultivate leadership qualities in students. Ask the students to bring crayons, construction paper, magazines, pictures, scissors, poster board and newspapers to sketch themselves. The students can select the board or paper and also ask the students to list the points to say that the picture says about their personality. Self-analysis helps the students to know about themselves. The spiritual feeling is also important to activate the emotional intelligence in the students. Divide the students into groups and ask the students to keep the blindfold in a particular place. One student among the student is not given the blindfold and he should lead the team members with effective communication to find out the blindfold. This game improves the communication skills among the students with peer approach. Collecting charity is an interesting task among the students. The students are divided into two groups as one is the fundraiser and the second group is the fund collector. The fundraiser list out the problem and the need for the fund in an effective way and the fund collector find the channels to collect the fund. Thus two groups together collect the fund and use the fund for the purpose of the charity. This gives an idea about social problems and how to help the people around us. Train the students to plan their functions. For example, ask the students to plan for an educational tour. The money collection, deciding the date of the tour, the tickets or transportation to be arranged, and the prevention measures to be taken when going outing are some of the tasks. This activity makes the students plan their work properly with time management. Learning and the interest in learning purely depend upon the mood of the learner. Gaming is using the game to increase the participation, engagement, loyalty, and competition among the students. Activity-based learning in the schools follows the model of gaming in education. Gaming is already round the corner in the internet discount for the sale with the right code, and discount on a particular day. So, to make the education an interesting task gaming is implemented. Let me deep dive into the topic of Education and Gaming. There are so many areas in the education where gaming can be implemented such as grading, award prizes with colorful badges, add educational videos relevant to the syllabus and take the students to the audiovisual class to learn with fun, create role play themes to the students with the help of the biographies from scientists and historians. These ideas make the class interesting and help the students to gain more marks. Rather than awarding the grade to the students for the marks, it is wise to give experience points to the extracurricular activities. So, these activities are ultimately to make the students understand the story behind the subjects. The crux of the notes in the classroom is couched in terms of activities and understanding. Studious students learn more whereas sportive students learn less but they understand what they learn. So, to motivate different types of students it is important to play games to sharpen their attitude towards learning. To make the learning as an interesting task it is a good idea to award the students with badges or simple gifts. The badges can carry a name like technology name or the scientist name or historian name to motivate them to become a successful person in life. Video games to convey the points in the subjects makes the subject interesting and memorable. For the maths and science subjects playing games renders good result. To make the learning as an interesting task it is a good idea to award the students with badges or simple gifts. The badges can carry a name like technology name or the scientist name or historian name to motivate them to become a successful person in life. To make the learning as an interesting task it is a good idea to award the students with badges or simple gifts. The badges can carry a name like technology name or the scientist name or historian name to motivate them to become a successful person in life. Conduct competition-based games like the tournament module where the students are given the quiz and ask the students to demonstrate their experience from the quiz. To motivate the learners conducting the competition on reading, writing and asking questions from syllabus are the interesting task which stirs up the competition. Implementing role play themes with the famous scientist, mathematicians and historians make the class more interesting. Cultivate the habit of expressing the passion in the students with the idea of role play. Education has two-fold one is formal and the other one is informal. So, formal education is towards perfection whereas informal education is about the attitude towards learning. Imparting education in multiple ways help the different types of students to learn and enhance knowledge in long run. The different types of environments increase the curiosity in the students which improves the shot time memory to the students. Facilitating education after understanding the challenges faced by the students improves the positive attitude to the students. When designing an e-learning material there are certain things need to be focused and they are the psychology of the learners, the age group of the learners, positive attitude towards the subject, interactive tools, personalization, and the learning materials must be accessible. 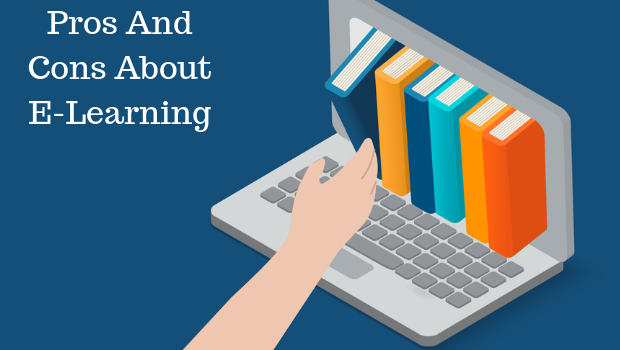 So let me discuss the pros and cons of e-learning. The benefits of studying online are career advancement and hobbies, positive environment, lower costs, self-discipline and responsibility, more choice of the subject in which the learners are interested in, and huge information about the single topic. Learning online is like a hobby and it can be done in the flexible hours. The survey report from the learning house says that there are improvements in the performance and salary with the help of online learning. The students also gain huge knowledge with the e-learning classes as it makes the learning with fun. The time and the environment of the e-learning are as per the mood of the student. When learning students prefer flexible timing and positive environment and this is possible when learning online. So, students learn with passion and interest which stays in their mind for the long term. There are two types of memory one is short time memory and the other one is long time memory. So, e-learning is helpful for developing the long time memory and concept-based learning to the students. Cost is comparatively less for the e-learning as there is no need for the books, transportation and tuition fees to the teachers. E-learning improves the time management and the responsibility increases as there will be an online assessment towards the end. Thus e-learning improves the self-motivation and concept based knowledge on the subject. Learning is confined to teacher availability. Career opportunities and when learning through internet interest is the only investment. So, e-learning is the best option for the rare subjects and concept based subjects. Stress, lack of personalization, lack of regular interaction, lack of participation, and lack of real-time examples are some of the disadvantages of the e-learning. E-learning leads to continuous learning and the brain feels overworked due to the mental fatigue. Personalization is important to practically take up the challenges in life. Sometimes risks are important to change the environment and impose meaningful changes. 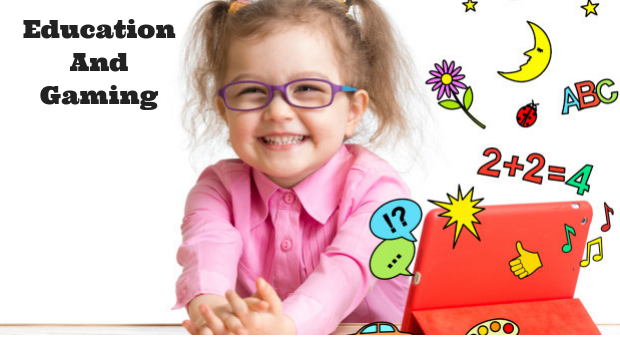 So, personalization is a factor which is missing in the e-learning. It is important to teach the subjects along with the practical challenges that are associated with the subject. So, to teach something with practicality e-learning is not helpful. For theoretical teaching, e-learning is helpful whereas for practical teaching e-learning is not helpful. When e-learning about a subject the knowledge is abandoned but the real world benefits are not seen. The rewards or the words of encouragement are the indirect support to relieve the students from the stress that they enter into when learning for a long time. The challenges or the usage of a subject is not fully known to the students through e-learning. There are so many specializations in MBA and each specialization is designed to target the special areas of the modern business world. To get admissions in B-schools it is inevitable to get the CAT certification. The Common Admission Test syllabus as of 2018 is the Quantitative Aptitude, data interpretation and logical reasoning, verbal ability, and reading comprehension. 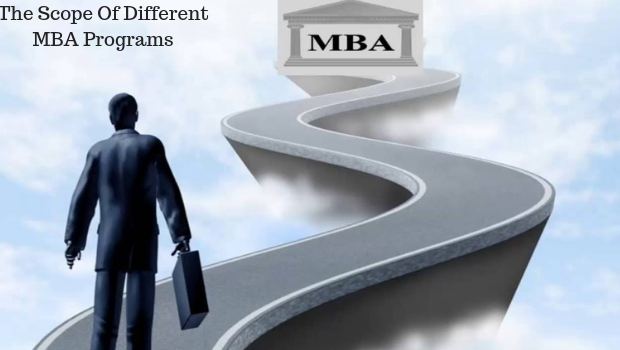 Let me discuss in detail about the scope of doing different MBA programs. Students join the MBA program either to develop the personality or the try for the global jobs. Let me discuss in detail the different industries in which the MBA professionals work. Finance, Marketing, Human Resource management, international business, operations management, information technology, supply chain management, rural management, agriculture business management, and healthcare management are some of the specializations in MBA. The Indian banking industry is very big with 27 public sector banks, 21 private sector banks, 21 private sector banks, 49 foreign banks, 56 regional rural banks and 1562 urban cooperative banks and rural cooperative banks. Job roles after learning the MBA-finance are asset management, corporate banking, derivatives market, corporate finance, portfolio management, hedge fund, the stock market, bond market, taxation, treasury, valuation, and the credit analysis. Finance graduates are placed in other efficient departments like research, analytics, marketing, operations, and project management. Unlike finance course skills are given more importance in the marketing field. Some of the parameters to become a successful marketing professional are enhancing the skills like excellent communication skills, strategic thinking, planning abilities, convince persons, problem-solving, and analytical skills, perform market research and analysis. Marketing is the widespread subject in many industries and the different roles like the marketing manager, digital marketing specialist, product manager, media planner, sales manager, brand manager, corporate sales manager, market research analyst, and marketing manager are open to the marketing professionals. The most valuable asset of the big corporate companies is the “employees”. The human resource candidates take care of recruitment, talent management, retention management, and reward management. These candidates can work in the industries, corporates, colleges, schools, and MNC’s. International marketing manager, financial controller, multinational manager, business development director, international trade, customs manager, and international foreign policy advisor are some of the jobs open for the students of the international marketing. The professionals from system analysis and design, database management system, software engineering, security, and control information system, web designing, multimedia designing, data mining, networking management and data warehousing are some of the fields where the MBA information technology are placed. The other specializations like the Supply chain management are for the inventory management, warehousing, and transportation. Candidates with rural management degree can work in the government of India’s rural development projects, association with the non-government organization, research institutes and there are huge opportunities in the social research agencies. Agribusiness management students understand the finance, marketing, and management of the agricultural sector. MBA in healthcare management take care of the hospital management and wide range of opportunities exist in the health insurance organizations, medical tourism companies, diagnostic laboratory chains, primary health care chains, social enterprises in health, healthcare IT, and market research organizations. Before choosing the program take in to account some important factors like Management school ranking, duration of the program, personal knowledge, personal interests and the nature of the job in which the education takes you. Among the wide range of professional courses and research programs, MBA is designed with the exact match for the administration or management of the different businesses. For many of the developing countries like India Education and Media are the two powerful sectors where the growth can be arrived with constant changes. Education is the backbone of development in any country. We like to provide information regarding Education from different levels like school, college, and higher education levels. Nine Crore of the fund is allotted to the primary schools by UP Government in AGRA. The social movements and social activists have concerned that the school principal and teachers are liable to make the fund transparent and fair. It is mentioned that 10 percent of the amount spent on the infrastructure of the schools are spent on cleanliness and hygiene. The schools are divided as per the number of students pursuing studies in the school. The divisions are schools with 1 to 14 students, schools with 15 to 99 students, schools with 100 to 249 students, schools with 250 to 9999 students, and schools with 10,000 students. As per the number of students the schools will receive amounts such as 12,500, 25,000, 50,000, 75,000 and 1, 00,000. Dhirubhai Ambani International School at Bandra-Kurla complex and Smt sulochanadevi Singhania School are ranked among the top ten schools by the Education World India School Rankings 2018 to 2019. These schools are the pride of Mumbai. 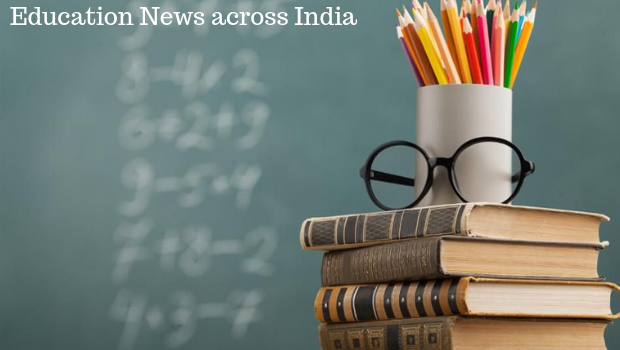 The Education World India School Rankings and the center for forecasting interviewed 12,214 people in 27 cities and finally listed the top 1000 schools with 13 inter-divisions. The old business families have proven record in the education sector in Kolkata. The RP-Sanjiv Goenka group already own business in the sectors like the power and natural resources, carbon black, IT, Infrastructure, retail, media, entertainment, and sports. There are planning to widespread their name in the education sector and planning to start school with international standards in Kolkata. After the flood, the schools in Thiruvananthapuram are celebrating the youth festival with a science festival in Kannur and sports meet in Thiruvananthapuram. These festivals are conducted with the government expense after the floods in Thiruvananthapuram. The preventive measures in the schools are given prior importance and a maximum of 5 percent of the total revenue is charged as fine if the school authorities don’t follow the safety measures. For the first violation it is one percent and if the violation follows for more than once then the fine is three percent or 5 percent. Education minister Arvind Pandey announced last year that the government will merge the schools with less than 10 students. It is officially declared that there are 600 schools in 13 districts with less number of students. The initiative measure from the government has merged 300 schools so far. To improve the student and teacher ratio the government is merging the schools. So, the available teachers are well utilized by the government.